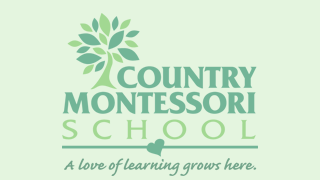 I would like to take this chance to introduce myself and welcome you to Country Montessori School! You have joined a wonderful family! My name is Kelley Swaine. I have been a parent at CMS for 4 years and have served as various chairs on our PTC ( Parent Teacher Committee). This year I am fulfilling a couple of different roles. I am the social chairperson. My job is to welcome you to the school and to serve as a resource for you. I will remind you of various events coming up and how to get involved. My role is also planning the Ice Cream Social and Halloween Carnival. When you registered for school you were informed of the 20 required participation hours. Soon you will be receiving a teacher wish list from your classroom ambassador. These will have all the hours available for the classroom as well as any pertinent information that involves the classroom. There are also volunteer hours available through the PTC (Parent Teacher Committee). I highly encourage you to get involved with the PTC. It is the best way to really get involved with the school and to “stay in the loop”. The PTC is responsible for activities such as the Ice Cream Social, the Halloween Carnival , the Walk a thon, the Yearbook, and the Auction. There are monthly meetings and any and all parents are encouraged to attend. Stay tuned for meeting dates and times. The first event we will have this year is the Ice Cream Social and it is on Saturday, September 24th from 3:00-5:00. You won’t want to miss this very informative event. Ice Cream will be served by our 4th and 5th level students and it is a time to socialize and get to meet other CMS families. Then, the kids will be taken to a classroom where they will be entertained by the Lizard Wizard while being supervised by our childcare team and teachers) while we will have a meeting, get updates about our school, and hear from our Board of Directors. Again, I think this is perhaps one of the most informative events of the year as to where we are and where we are headed as a school. Ms. Corrales will be sending out more information in September. I look froward to meeting all of you and please contact me if you have any questions.